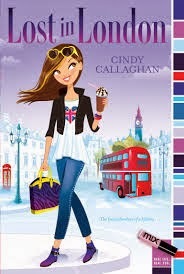 Synopsis (from Amazon): A tween’s foreign exchange experience lands her in London luxury—and some hot water as well! One (or more) Sentence Summary: Really cute story about Jordan (J.J.) going aboard for one week to one of my favorite cities, London. She stays with her mom's sorority sister who has a daughter, Caroline, the same age. J.J. wants to see the sites and Caroline wants to shop and go to the movies. They are able to end up doing both and solve a series of crimes at the same time. Favorite Character(s): My favorite character was Ellie. She was just a really funny individual and didn't care that she was different. She didn't seem to care what Caroline (the leader of the gang) thought of her and she was full of surprises! She came to the rescue more than once! Setting: London, of course. I love London. I was lucky enough to go for work in 2007 and have wanted to get back ever since. Absolutely LOVED it! I really enjoy reading books that take place in London, especially since my trip. Fast read/slow read: Perfect tempo - not too fast, not too slow! Cover: I think it is just too cute! Would I Read Other Books by the Author: I would! 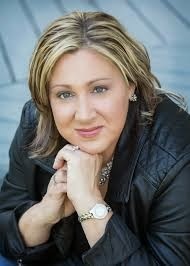 Meet the Author: Cindy Callaghan is the author of the middle grade novels Just Add Magic, Lost in London, and the upcoming Lucky Me, all with Aladdin MIX. She lives in Wilmington, Delaware. Connect: You can connect with Cindy on Facebook, Twitter, Pinterest, Goodreads, and Instagram. Purchase it: You can purchase Lost in London online at Amazon for $6.99 (Kindle version $5.98).